​The library has two locations: the main location at Dalgas Campus, and a service location at Bushøjvænget Campus. The Dalgas Campus library is a place for reading, studying, and researching. The library is open to students daily. PYP 4-8 students visit the library regularly, once a week, to borrow books, read or listen to a story. Our extensive collection for ages 4-11 can be searched here. MYP students visit the library either with their classes and teachers or on their own during their free time. 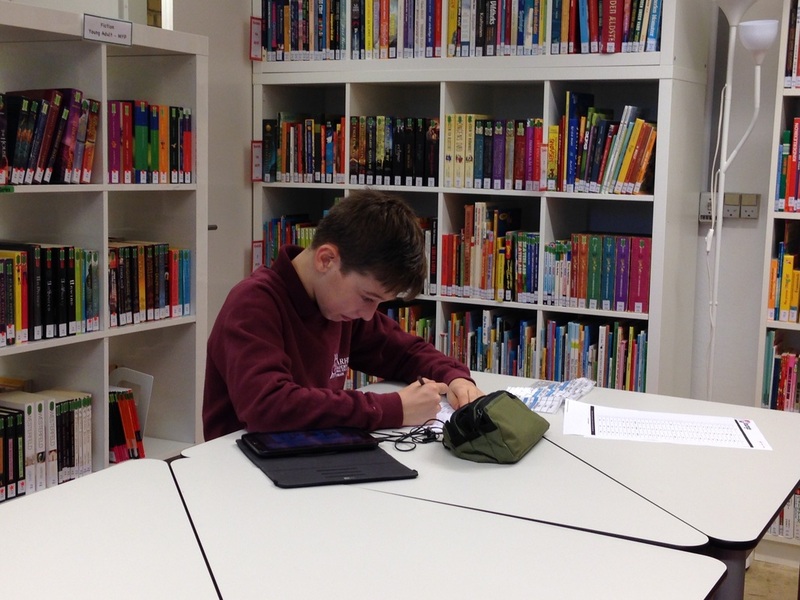 They can bring their laptops and iPads to access Online Resources, as well as looking into the print collection of fiction and non-fiction supporting the Middle Years Program curriculum. Students can get help with their research and homework, or find novels to read for leisure purposes. At the Bushøjvænget location we lend books to the children in PYP 1-3 on Wednesday from 13:00 till 16:00. The students will visit the library at their allocated times or must be accompanied by a parent. This can be done when you pick up your child. ​Donations of books or other materials are also appreciated. Please contact the librarian for an appointment first. Please note: It is always possible that donated books may be better suited to other school collections such as ASA etc. The librarian reserves the right to check the appropriateness of donations and distribute items accordingly.